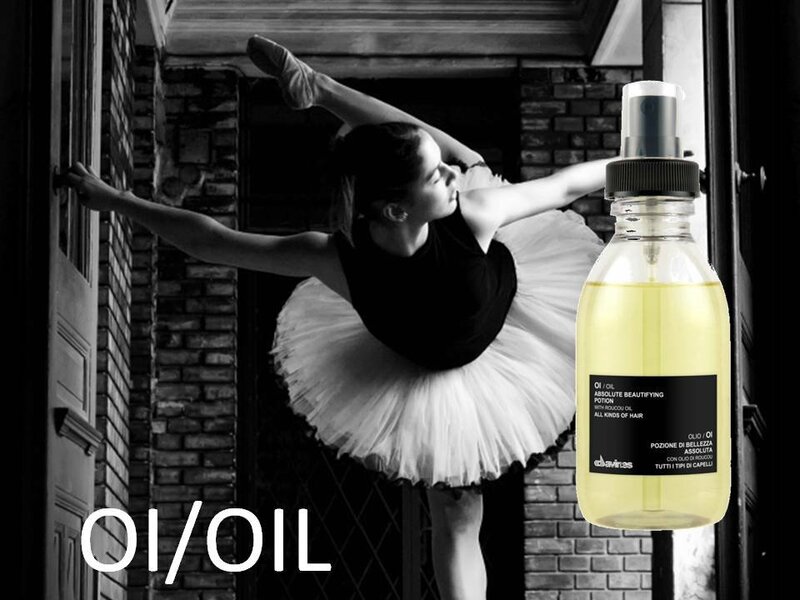 Oi Oil is a treatment oil that is made from Roucou Oil from an Amazonian plant (all fair trade of course). It is full of Beta Carotene (like carrots but has more of it) that is great for restructuring the hair making it strong to help growth. This also helps production on melanin in the hair which reduces cell damage, prevents aging and maintains elasticity (which in turn prevents breakage). It is full of anti-oxidants and anti-free radical actions which fight the effects of the environment on your hair. Use 2-3 drops (depending on hair thickness, use one if you have fine hair) and smooth through towel dried hair. It gives it shine and amazing softness without weighing it down, has an great untangling and anti frizz actions and also reduces drying time! It contains NO Parabens (Laura from the Davines Lab in Italy assured me of this). It does contain silicon but these aren’t your nasty build-up-in-the-hair silicons. They are a ‘breathable transpiring silicone oil’ which protect the hair without affecting other treatments and don’t build up to make the hair dull. Think of it as a little shield over the hair while the Oi Oil does its treating. I have been using this for a couple of weeks now and previously used Morroccan Oil but since I’ve been blonde, this is the only thing that has COMPLETELY de-frizzed my hair (which being bleach blonde is quite a mission!). It also has no colourants in it so won’t stain super blonde hair, which I previously had trouble with. I’ve tried most of the other ‘treatment oils’ out there and find this is the only thing that has done everything I want it to. Being a salon owner we get many different brands trying to sell you their answer to Morroccan Oil (all using argan oil) but Davines haven’t tried to compete, they’ve simply done something different and used Roucou Oil instead. I LOVE this product and use it on all of my clients, most of which have been so impressed they’ve bought themselves a bottle. It lasts ages and is a bit cheaper at $48 (instead of Morroccan Oils $62.50). We do have a sample bottle in the salon so anyone wanting to try it out is most welcome. And best of all it SMELLS amazing!